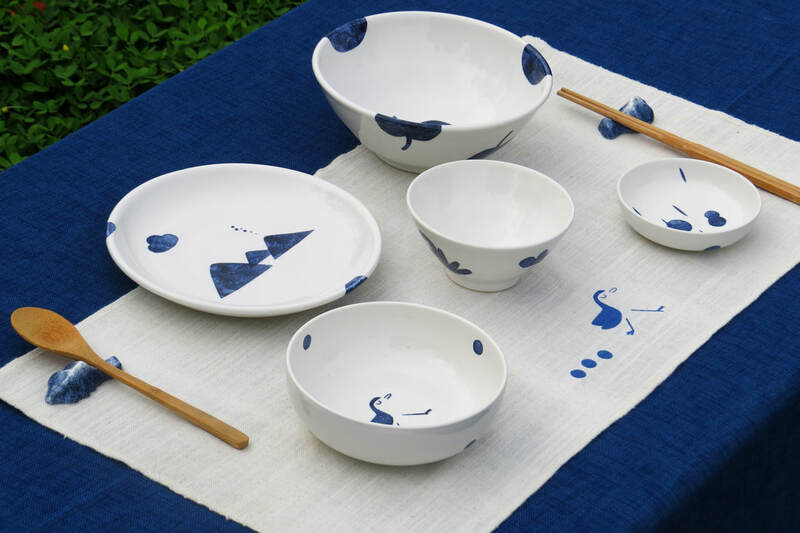 ​ The “Yilan Dinnerware Set” was combined with the local culture pattern design and unique blue and white porcelain techniques, and was designed base on our research for the dietary habit of Taiwanese people. 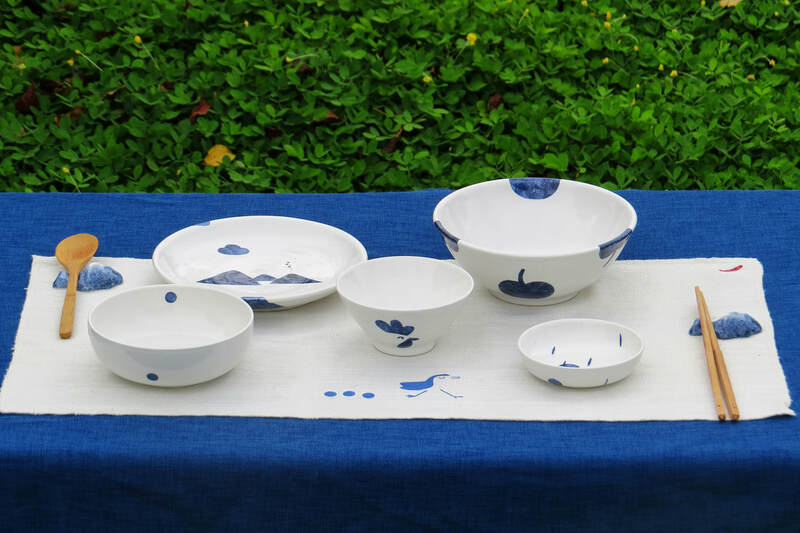 Each blue and white pattern idea was come from observing the natural environment and daily life in Yilan village by our designer, and the craftsmen paint blue and white patterns on dinnerware by using special dyeing method, showing a unique casual atmosphere of lifestyle. 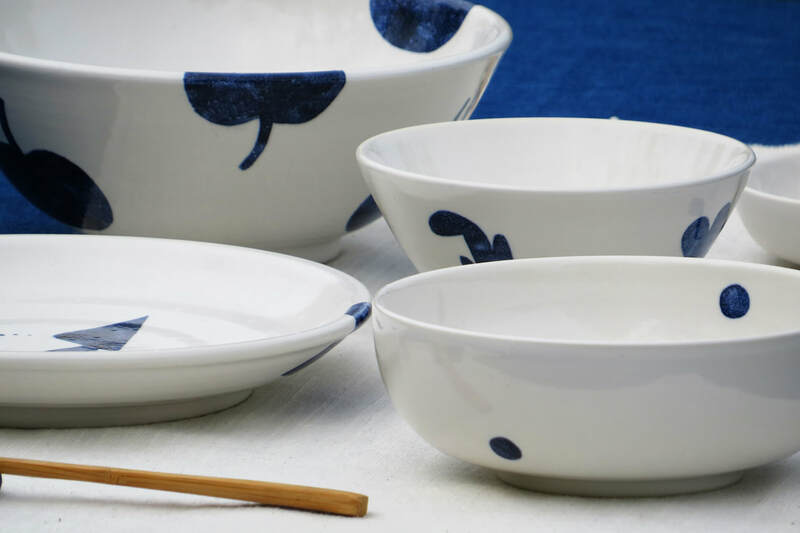 Our goal is to provide the best Dinnerware which represent the everyday life of living in Yilan. We start with field investigation research, using writing, video, interview method to discover nature and humanities environment changing. “Yilan Dinnerware Set” was designed base on our research for the dietary habit of Taiwanese people. Making of “Yilan Dinnerware Set” was combined with the local culture pattern design and unique blue and white porcelain techniques; each blue and white pattern idea was come from observing the natural environment and daily life in Yilan village by our designer, and the craftsmen paint blue and white patterns on dinnerware by using special dyeing method. The white breasted waterhen chick LOGO on the bottom of dinnerware are all hand-painted by craftsmen, showing the reverence of nature. 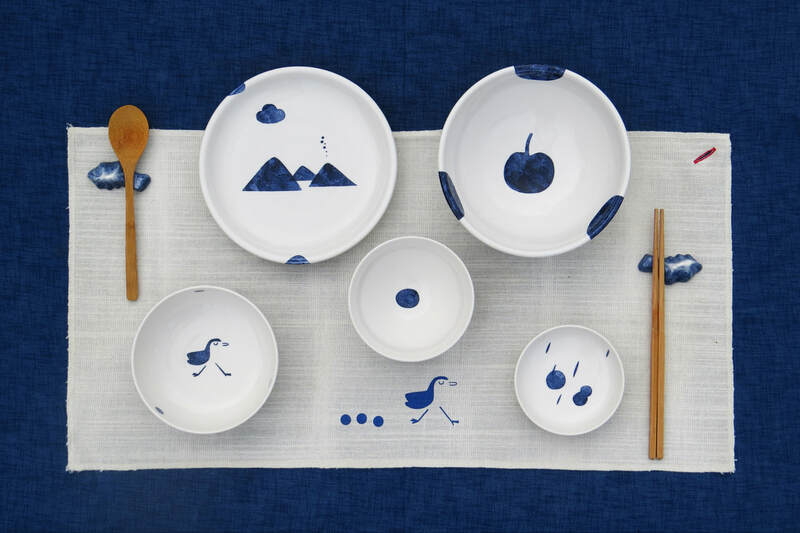 The “Yilan Dinnerware Set” is designed to fulfill the needs of Taiwanese people. At the begin of design process we analyzed dinnerware used by the people, and studied user experience and dietary habit of Taiwanese people through public participation. Such as, thick soup dinnerware, big capacity dinnerware are seen more often on Taiwanese dining table.